Seashell Cottage01494 681604work Self-cateringA delightful Victorian cottage adjacent to Wells Quay. 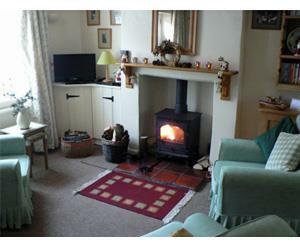 Seashell Cottage is very well situated for exploring the North Norfolk area. 1 mile from the beach and minutes from shops, pubs and restaurants. The cottage is the owner's holiday home and is therefore very well equipped and maintained to a high standard. On your arrival you will have a personal welcome not just a key under the mat! A bottle of wine and fresh flowers. The beaches are wonderful in North Norfolk, long and sandy. There is lots to do and see in the area for all ages. Look at our website and read what some of our visitors say about Seashell Cottage. A delightful Victorian cottage adjacent to Wells Quay. Seashell Cottage is very well situated for exploring the North Norfolk area. 1 mile from the beach and minutes from shops, pubs and restaurants.